I'm a long time (1994) Parker user. been through many guitars before and since but always come back to the tried and true best player. Mostly I GAS for "classic" guitars. 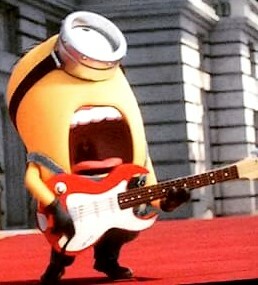 I'd love to love a Strat or a Les Paul. But the back doesn't allow for that so I keep looking for the guitar that's going to usurp the top spot. Strandberg looked really good. Light, Ergonomic, beautiful (in a modern, not classic sort of way) and I splurged and bought an upper model. Because of the nagging possibility that this was not "the one" I bought from Guitar Center so I could return it - just in case. Well, it's all that. Light, ergonomic, beautiful. The tuning stability is awesome. I loved the fanned frets too. Very comfortable and all that. But after several hours playing it, getting used to the odd neck (which is quite fine after a settle in period of about 20-30 minutes), I picked up my favorite Parker Fly and it was like coming home to your faithful companion. I don't know what to do. I guess I'm stuck with Parker. I am not dissing the Strandberg. It's an awesome instrument. And coming from a Les Paul or a Tele, would have been like finding Nirvana. But coming from the Fly, it was ... well ... just not quite there. To be more specific. I don't like the zero fret. It makes the strings too high near the (non existent) neck. I also missed a little bit of a higher under-the-arm wood. The edge cut into my arm. I can't say enough good things about the trem though. Silky smooth and very precise. Same with intonation. The guitar is light but it felt like it lacked density. Same thing I experienced with some other guitars. Not sure what it's due to. Just a feel. Anyhow. This was close. I really, really wanted to fall in love with this blind date. I assume if you kept the Strandberg that zero fret could be dressed down to whatever you consider perfect height. Then you'd have your choice of arm cutting or chest poking. Setting aside the cost, which is well outside my practical budget, I don't think I would personally like a Strandberg. It seems like there's too much missing from its structure. I do enjoy having 'extra' guitars ... but for the most part they're just cheap and fun diversions that I like for their completely different characteristics as compared to the Fly. I tried a Music Man Majesty in a shop fairly recently...it did impress! I had a lucky windfall (read some money) and decided that if I was going to do the jump it was now or never. I did not think that it would be fair to the instrument to pick it up and play it for 10 minutes at some store. I would have to spend at least a few hours to have a chance to bond with it. I had a friend lend me his Majesty for a few weeks. I thought that this would for sure be the one that could dethrone the Parker. Not. Now mind you, if I had any of those guitars as my only option I would survive. If my Parkers suddenly turned to dust and there were none left in the world - what would I pick? Not sure. Maybe a 335! Ha ha ha. Probably an Ibanez JS or some such slim model. I think I might just indulge myself and find a Supreme like I've always wanted! I own multiples just because they are different. Very glad I have multiple Parker’s because it’s my affordable “exotic” of the light weight designs. The only real problem with a Parker is they spoil the players of lesser guitars leaving a void and a desire that needs to be fulfilled. I can't find anything to dethrone my Fly. I would love to try a Strandberg. People do rave about them, maybe the Plini model with the Australian Blackwood finish would be good. I do own a Majesty, and it is an awesome guitar. The build quality is exceptional and the piezo system has more punch than either of my Parkers. Perhaps one of the best features is the pickup config. With the coil tap on, it only works when the switch is in the middle position. This means i can go from full humbucker to coil tap to full humbucker across the three positions. VERY useful when changing from high gain to clean. I have often thought about modding my Parkers to do the same. Which strandberg model did you get? I admit to not liking a zero fret either; I love the textural contrast between open strings and fretted notes. Everything is fretted with a zero fret. I suppose a traditional nut could be cut with slots on the diagonal if that was really the only issue. I had the Machacek edition. Beautiful guitar. It's packaged and waiting for the next shipment out of here to get back to Guitar center. 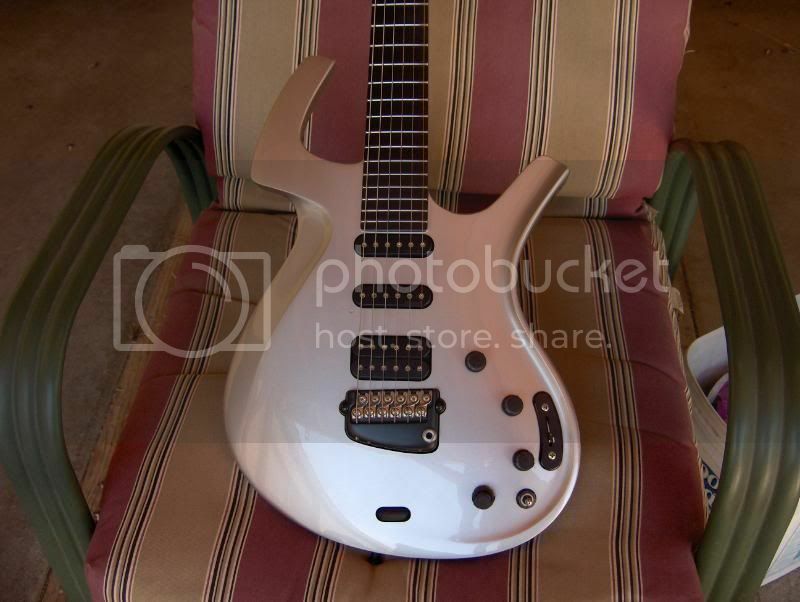 I think my next guitar will be an Artcore Ibanez so I can pretend I have an expensive arch top and pay $500.00 for it. I tried in a guitar store and loved it. It may not be an ES175 and probably won't last more than a few years, but who cares! Those Artcore models are nice guitars for the money and they’re pretty robust. I really like the candy red finishes. The Ibeanez Scofield model was an Artcore Series. Though I am definitely not a fan of Ibanez... These are nice guitars. Yeah, i have an Artcore AM93, it is a good guitar, pups are good, great feel for this style of guitar, hardware and finish is exceptional. Got it just to have a semi-acc in the stable, so to speak. Although its the AM93 AYS model, so the finish is actually a way too blingy for my tastes, ridiculously quilted maple, gold hardware.. *sigh, but the price was right!